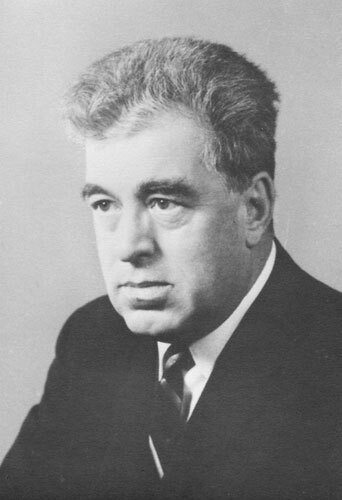 Educated as a linguist, Constantine Henry Andrusyshen dedicated his life to the development of Ukrainian studies and is considered the first Canadian-born Slavist. Born in 1907 in Winnipeg, Andrusyshen was the son of Ukrainian immigrants from what was then the Province of East Galicia. Andrusyshen received his BA in 1929, and a BA Honours a year later, specializing in French and English at the University of Manitoba. In 1930–31 he received a French government scholarship to study at the Sorbonne, at the same time completing his Master’s thesis in French Literature for the University of Manitoba. After five years of work in the local Ukrainian community, he enrolled at the University of Toronto in Romance languages and received his PhD in 1940. As it was impossible to obtain employment in his field, he accepted an editorship in a Winnipeg Ukrainian weekly, where he worked until 1944. By 1943 there appeared prospects of teaching Slavic languages in Canadian universities. With the help of George W. Simpson, a professor of history at the University of Saskatchewan, Andrusyshen did post-doctoral studies on a Rockefeller Foundation fellowship in the field of Slavistics at Harvard University in 1944–45. He received a certificate confirming his competency to teach in the newly established Department of Slavic Studies at the University of Saskatchewan, the first such department in Canada. In addition to instructing courses in Russian and Ukrainian, Andrusyshen contributed to scholarly publishing in this emerging field of study. He was the main compiler of the largest existing Ukrainian-English dictionary, whose publication in 1955 contributed greatly to the growth of Ukrainian studies in English-speaking countries. In the 1960s he continued with translations into English of Ukrainian poetry and selections of works by Taras Shevchenko, in co-operation with Watson Kirkconnell. He received the Shevchenko Centennial Medal from the Ukrainian Canadian Committee, and was elected to the Royal Society of Canada. Andrushyshen died in Saskatoon in 1983. Buyniak, Victor O. 1991. “Constantine Henry Andrusyshen: The First Canadian-Born Slavist,” Journal of Ukrainian Studies 16 (1–2): 211–18; Dutka, J. 2000. The Grace of Passing: Constantine H. Andrusyshen: The Odyssey of a Slavist. Edmonton: Canadian Institute of Ukrainian Studies Press.